Michael Van Valkenburgh Associates (MVVA) is slated to transform Buffalo, New York’s old yet beloved waterfront park into a sweeping linear landscape and cultural destination along Lake Erie’s edge. 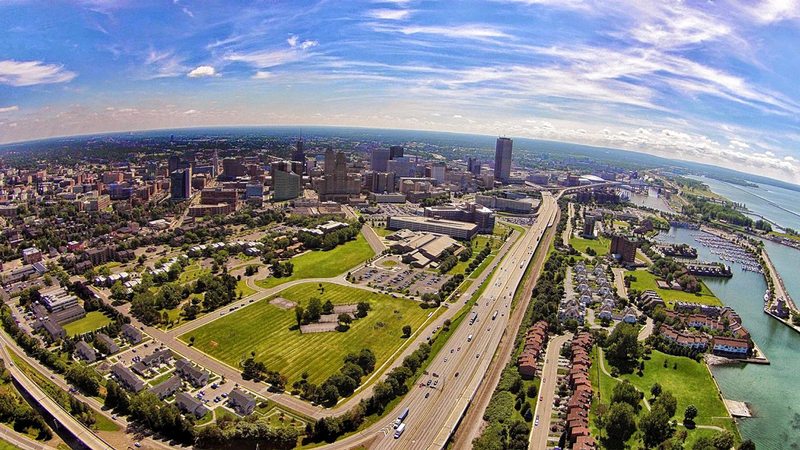 The design team will reimagine the city’s 77-acre LaSalle Park as the new Ralph C. Wilson, Jr. Centennial Park, named after the late owner of the Buffalo Bills. The redesign is part of the Ralph C. Wilson, Jr. Foundation’s big push to improve parks and trails in Western New York and Detroit. In October, the Foundation announced a $200 million investment it would split between the two locales, which includes the build-out of a new 22-acre waterfront park in Detroit also designed by MVVA. 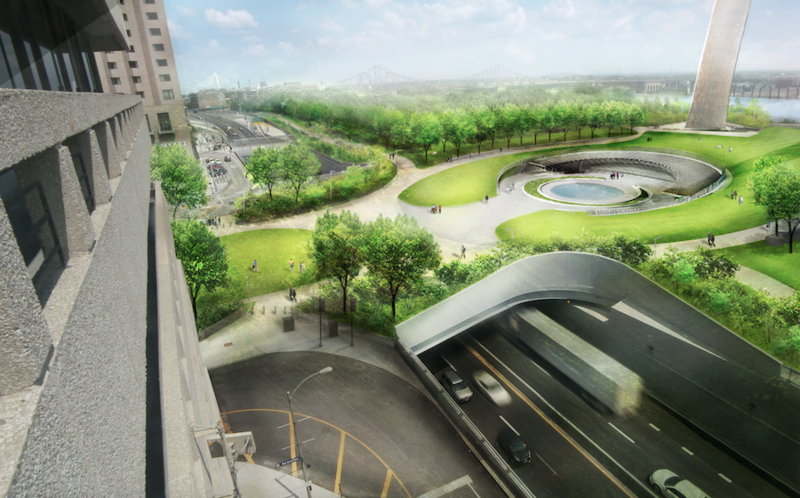 Though the New York–based landscape architecture firm had already unveiled renderings of the Motor City’s proposed park earlier this year, no firm had been chosen for the Buffalo project. To Bob Shibley, dean of the University of Buffalo (UB) Regional Institute in the School of Architecture and Planning, who’s helping to spearhead the project, MVVA was a natural fit. The university helped form the Imagine LaSalle Focus Group, a team of 22 community stakeholders who toured successful park projects in Cincinnati, New York, and Chicago to gain inspiration for their hometown’s goals. “People were overwhelmingly enthusiastic about those projects,” said Shibley. “When the announcement was made that Micahel Van Valkenburgh would do Detroit and that both of our parks would be named after Wilson, it was obvious the parallel between the two cities was important.” This “paired park” idea isn’t an explicit design decision, said Shibley, but a nice nod to the Wilson Foundation and its commitment to improving the well-being of people living in both Buffalo and Detroit. MVVA will now take on the challenge of bringing those two separate community visions to life. Even though the parks will be sharing the same name and touch the same body of water, both are inherently different landscapes to Michael Van Valkenburgh. “The two assignments have quite different challenges about them, more contextual differences,” he said. “In some fundamental ways, they mirror each other, but topographically, they’re totally different. LaSalle is twice the size and literally grades right into Lake Erie, while the Detroit side is perched up with a sea wall. The aspirations are similar, but we’ll have to input quite different interventions on each site.” The UB Regional Institute released a comprehensive report detailing the community’s expectations for the project, which MVVA will use as a guide during the initial design phase. 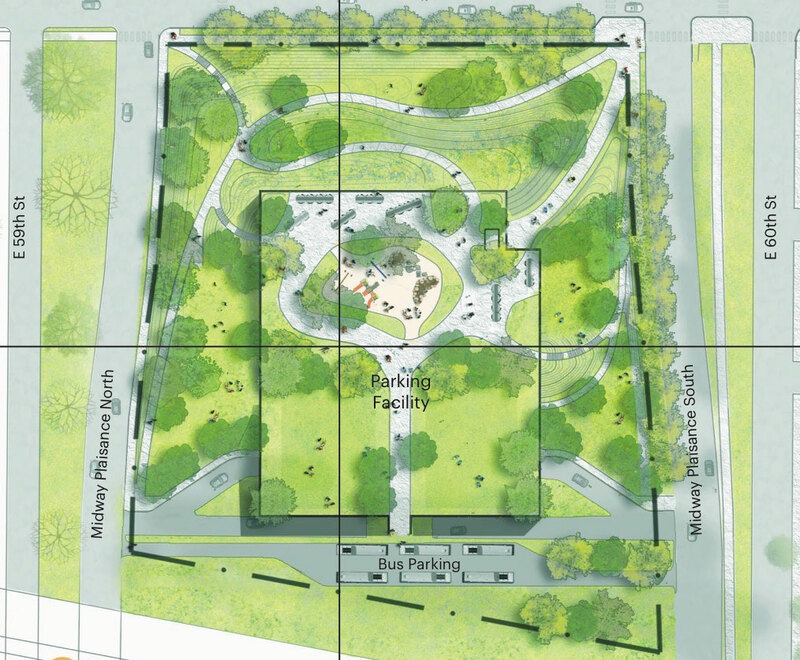 MVVA will have to consider how to integrate the history of the near-90-year-old parkland, its connection to the Olmsted & Vaux–designed Front Park, as well as its role as a sports and recreational space. One of the biggest challenges, according to Shibley, will be buffering noise from the adjacent I-90 highway that runs north toward Canada, as well as creating better access, points of transition, and more localized design details for the five diverse districts that surround LaSalle. While the end result will likely resemble a signature MVVA-designed parkland complete with terrain changes, innovative playscapes, and stunning vistas, Van Valkenburgh said it will retain its most important charm. “The flatness of LaSalle is very defining,” he said, “and it’s also a little relentless to me. I think we don’t want to lose that flatness because there’s a kind of wonderful, almost magical concept of playing at the edge of a lake. At the same time, we’ll likely want to add some topography the landscape to allow people to get to a higher level over the water to see Buffalo’s famous sunsets.” Renderings for the Ralph C. Wilson, Jr. Centennial Park in Buffalo have not yet been released, but a conceptual design and physical model will be presented to the public in May 2019. Another five acres of permanent green space was added to New York City yesterday with the opening of Pier 3 in Brooklyn Bridge Park. 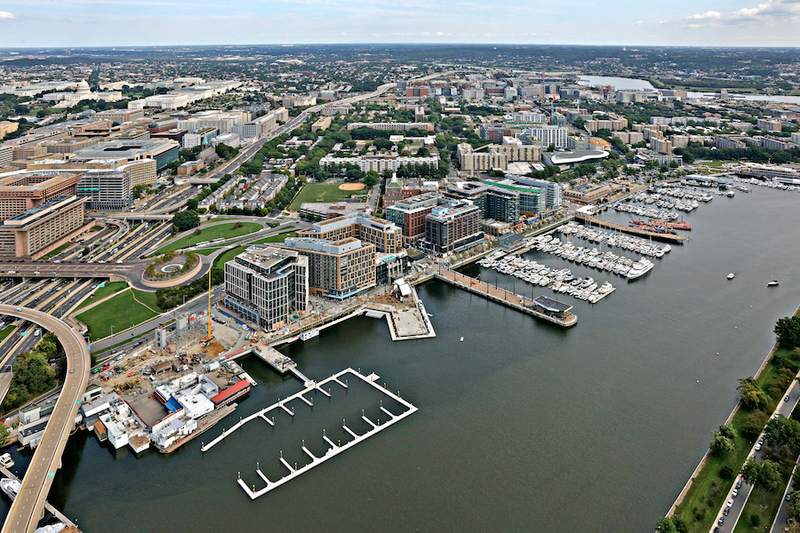 Now 90 percent complete, the beloved, 85-acre waterfront parkland designed by Michael Van Valkenburgh Associates is almost finished after nearly 20 years in the making. The project is the final pier of the formerly industrial site to be turned into green space and features a rolling landscape of shrubs and over 500 trees. It also includes one of the largest open spaces in the entire park, a great lawn reminiscent of the seminal one found within Central Park in Manhattan. Laid out at the northern edge of the pier is an exploratory labyrinth garden with hedges of varying sizes. It houses interactive elements like mirrored games, a walk-in kaleidoscope, a conference tube, and unique stone seating by German industrial designer Gunter Beltzig. The design was inspired by the community’s need for a more expansive hangout space within Brooklyn Bridge Park. While meandering walkways provide unmatched views of Manhattan and the other piers have settings for recreational activities, there was not a dedicated area for relaxation until now. 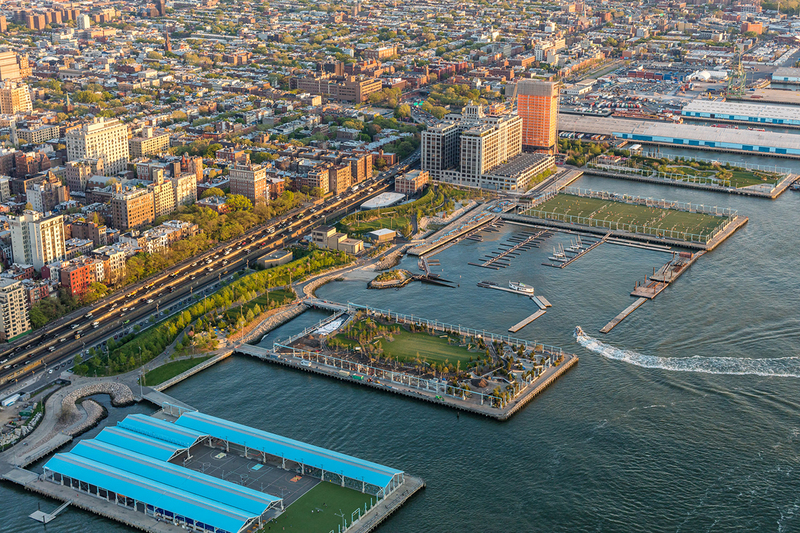 “The center of Brooklyn Bridge Park needs an embracing green space," said landscape architect Michael Van Valkenburgh in a statement, “and with Pier 3 we finally have it. The bowl-like lawn provides a serene interior that I think will draw people in, acting as a complementary counterbalance to the dynamics of river and city.” Since the design for Brooklyn Bridge Park was first revealed in 2005, the 1.3 mile-long parkland has been one of the city’s best examples of land reclamation. The narrow site along the East River had been out of operation since 1983 when the rise of container shipping replaced the need for the bulk cargo shipping and storage complexes that once lined the shoreline. Under Mayor Bloomberg and Governor George Pataki, the city and state signed a joint agreement in 2002 to begin the design and development of the Park. Construction began in 2008 with reclaimed soil from the World Trade Center site. 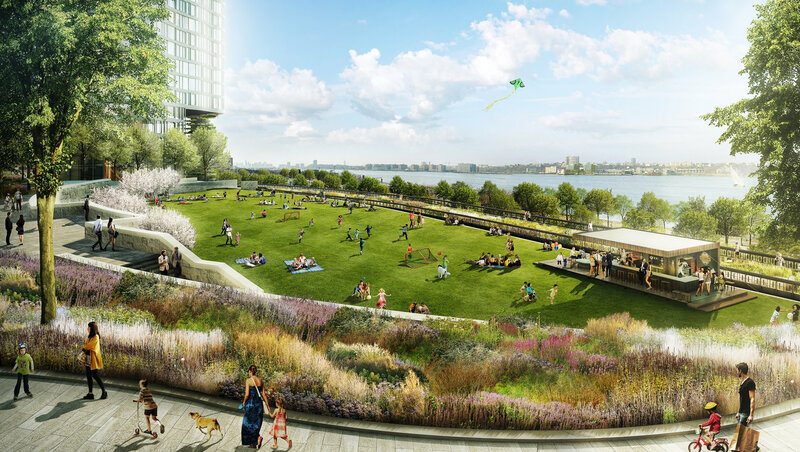 The remaining sections of the park include the recently announced Squibb Park Pool, Brooklyn Bridge Plaza, and the Pier 2 Uplands, which will add 3.4 acres to the park and is slated to begin construction this September. After a lengthy build-out, Houston's Menil Drawing Institute will open to the public this fall. As its name suggests, the Institute, a project the Menil Foundation initiated a decade ago, will showcase the drawings of master artists from all over the world. Los Angeles's Johnston Marklee designed the Drawing Institute's home, while the landscape architects at New York and Cambridge, Massachusetts–based Michael Van Valkenburgh Associates will knit the building together with the existing structures that comprise the Menil Collection. When it opens to the public on November 3, the Menil Drawing Institute will showcase the work of Jasper Johns, the American artist best known for his interpretations of the stars and stripes. The retrospective, entitled The Condition of Being Here: Drawings by Jasper Johns, will be the first exhibition hosted in the 30,000-square-foot building. The Menil stewards one of the largest collections of Johns's drawings in existence, so the exhibition is meant to highlight this portion of the Foundation's wide-ranging collection. Johnston Marklee's $40 million structure—the first freestanding space purpose-built to display, study, and conserve modern and contemporary drawings—will joins four others on the Menil's 30-acre home. The main building, designed by Renzo Piano in 1987, is undergoing a concurrent renovation. That space will reopen to the public in early fall. 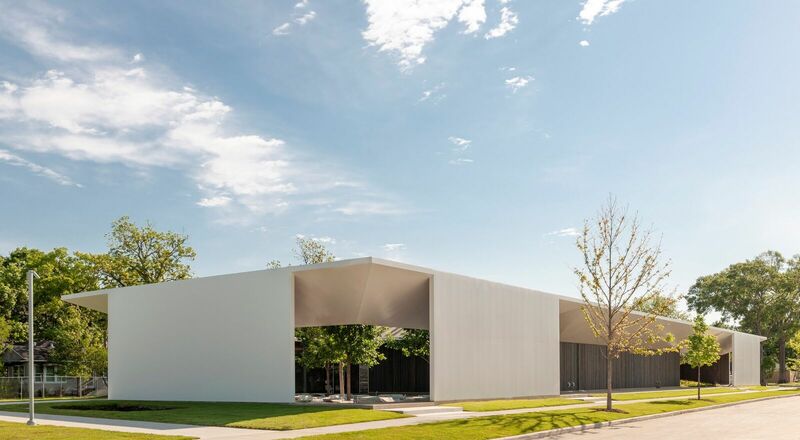 Construction or not, the Menil Collection is open to the public Wednesday through Sunday from 11 a.m. to 7 p.m. Admission is free at all times. More information on the Menil Drawing Institute and other programs can be found here. 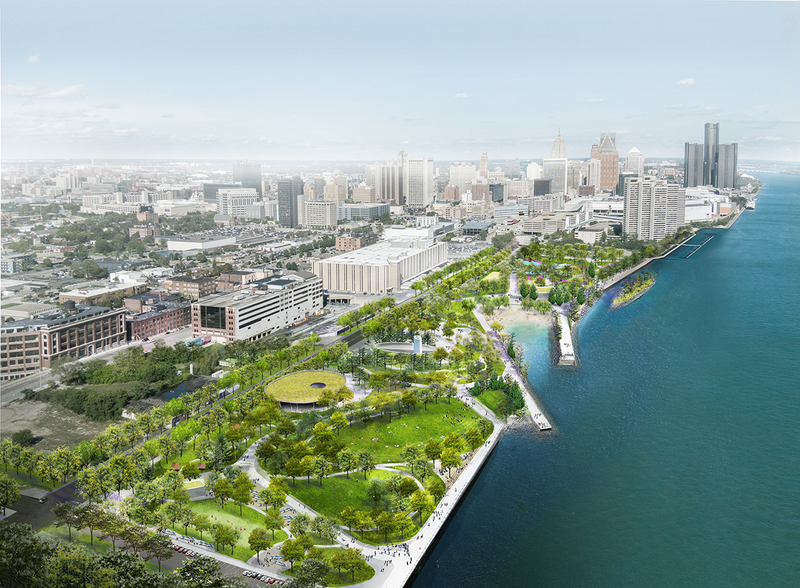 Beating out a pool of over 80 international design teams, a team with Brooklyn-based landscape architects Michael Van Valkenburgh Associates (MVVA) and Sir David Adjaye have been chosen to transform the 22-acre West Riverfront Park in downtown Detroit. While the nonprofit Detroit RiverFront Conservancy has stressed that they were choosing a team, not a design, MVVA’s presented plan for the park would substantially change the waterfront. While the final four competitors for the park presented big names in landscape architecture, including James Corner Field Operations, Hood Design Studio and Diller Scofidio + Renfro, and Gustafson Guthrie Nichol, the diverse programming proposed by MVVA ultimately won out. The $50-million redevelopment will present all-ages options throughout the shore, including the carving out of a beach inside of a secluded cove. Now that the design team has been chosen, the MVVA-led team and Detroit RiverFront Conservancy will solicit input from the community to nail down the final design details. The Detroit RiverFront Conservancy will also fundraise to reach the rest of the $50 million goal in the meantime, meaning the construction and completion date for the project are uncertain at the time of writing. 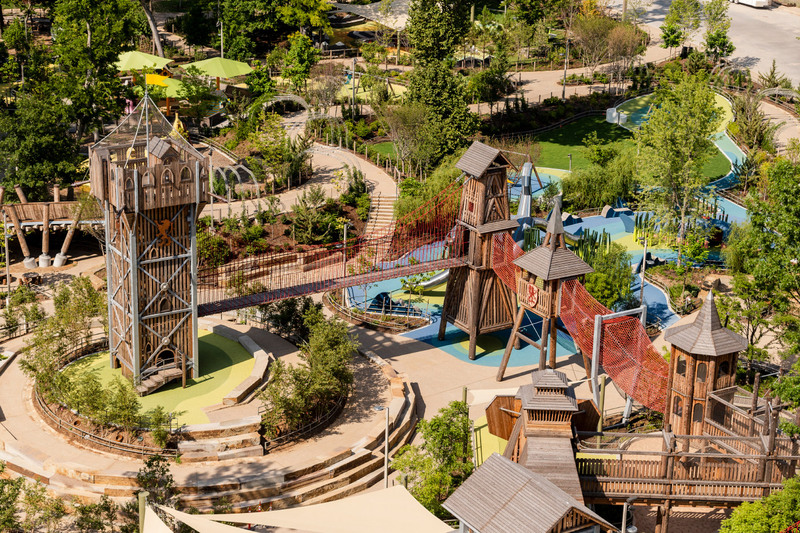 MVVA’s design for the riverfront park mixes active uses with more passive recreational areas and mingles the park’s natural systems with the city grid, similar to firm’s approach at Brooklyn Bridge Park. On the western side of the park, there will be a pool house and built up “performance hill,” complete with a clamshell-shaped amphitheater that will sit on a pier in the river. The circular “Sport House” will go up to the east, which from the renderings looks like it will float above a basketball court and feature a green roof on top. Moving east, a tall, artificial bluff will surround the park house and picnic grove. Perhaps the most prominent feature in the proposal is the aforementioned beach at the park’s center, which will be hemmed in by a stone jetty to the west and a fishing pier to the east, likely to prevent erosion. 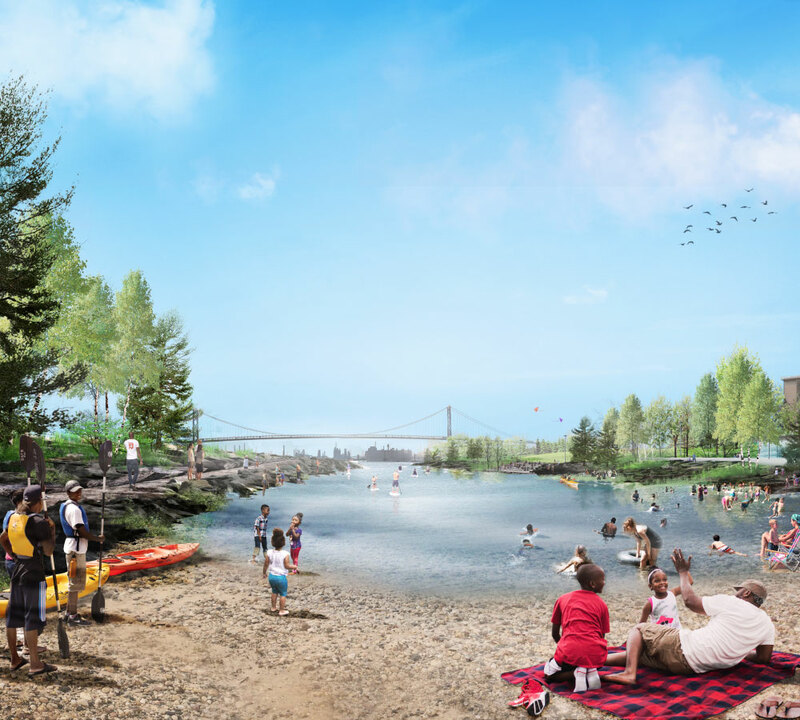 MVVA’s renderings show kayakers and beach-goers relaxing in the summer and skating on the frozen river in the winter, part of the Conservancy's vision for an all-year-round park. Capping off the eastern edge of the park is the enormous “Great Lakes Play Garden” for children, and “Evergreen Isle.” The stone island sits parallel to the playground in the river and is designed to break up ice floes and anchor ecological improvements by creating a shallow, biologically diverse channel. The shore of the entire park will be bounded by the Detroit Riverwalk. “It was love at first sight when I saw the Detroit River,” said Michael Van Valkenburgh in a press release. “I immediately recognized that this new park could draw the city to the water’s edge.” West Riverfront Park is bounded by Rosa Parks Boulevard to the west and Eighth Street to the east, a stretch that had been in private hands for nearly 100 years before the Conservancy purchased it in 2014. A $345,000 grant from the Ralph C. Wilson, Jr. Foundation’s “Livable Communities” focus area financed the West Riverfront Park Design Competition. MVVA’s team for the project, besides David Adjaye, will also include Utile and Mobility in Chain, and local partners LimnoTech (Ann Arbor), PEA (Detroit) and NTH Consultants (Northville). Despite comments from Tod Williams Billie Tsien Architects that the forthcoming Obama Presidential Center (OPC) would consider moving a freestanding parking garage out of the Frederick Law Olmsted–designed Jackson Park in Chicago, officials have decided to keep the building on the greenway. The 450-car structure will potentially eat up five acres of parkland in addition to the 20 acres the center itself is taking. The decision to build an aboveground garage on the eastern edge of Midway Plaisance, a narrow strip of historic parkland that connects Jackson and Washington parks, has been contentious from the beginning. 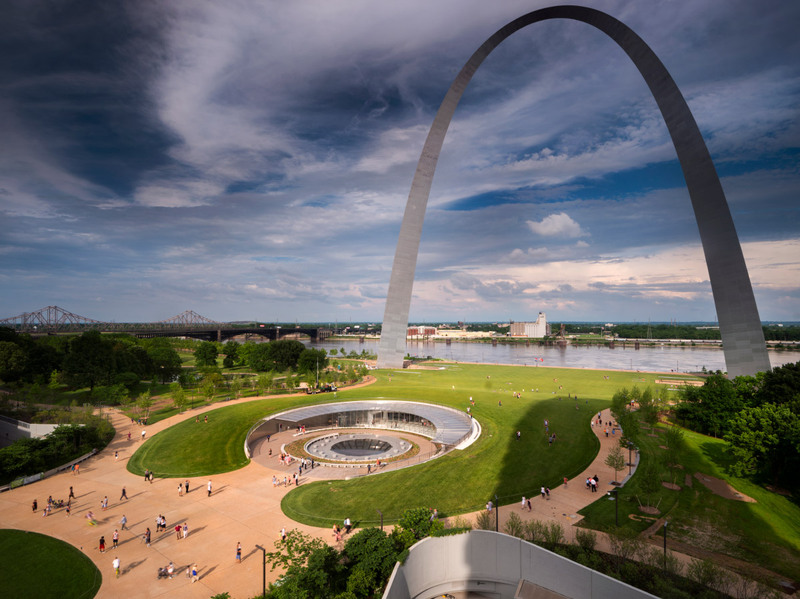 Although the two-story structure had always been envisioned with a green roof on top to help it blend into the surrounding park, critics charge that this fails to negate the destruction of a historically significant landscape. Olmsted and Calvert Vaux designed all three of the aforementioned parks in 1871, while Jackson Park was added to the National Register of Historic Places in 1972. As opposition from the local South Side community continued to mount, Tod Williams said earlier that, “We are wondering whether this parking should exist here, or whether it should be pressed further into the ground ... or whether it comes back to the site here.” But following a private meeting between the Obama Center design team, the Obama Foundation, and local community activists last night, the Foundation has announced that the garage will be staying put. Part of the Obama Center master plan calls for linking the site with the nearby Museum of Science and Industry, and the location of the garage proved too integral in that design for designers to consider moving. The walkability that an aboveground garage brings was also given as the reason why the team couldn't bury the structure. Instead, project landscape architect Michael Van Valkenburgh detailed a list of changes that the design team hoped would assuage outcry from concerned preservation groups. Van Valkenburgh told the Chicago Sun Times that landscaped slopes would be installed on all sides to better camouflage the building, that the plan would call for no longer staging busses on the Midway, and that the entrance to the garage would be moved to cut down on the time it took to walk to the Center. Additionally, the green roof has been made more pastoral, and plans for a basketball court and barbecue area have been tabled. 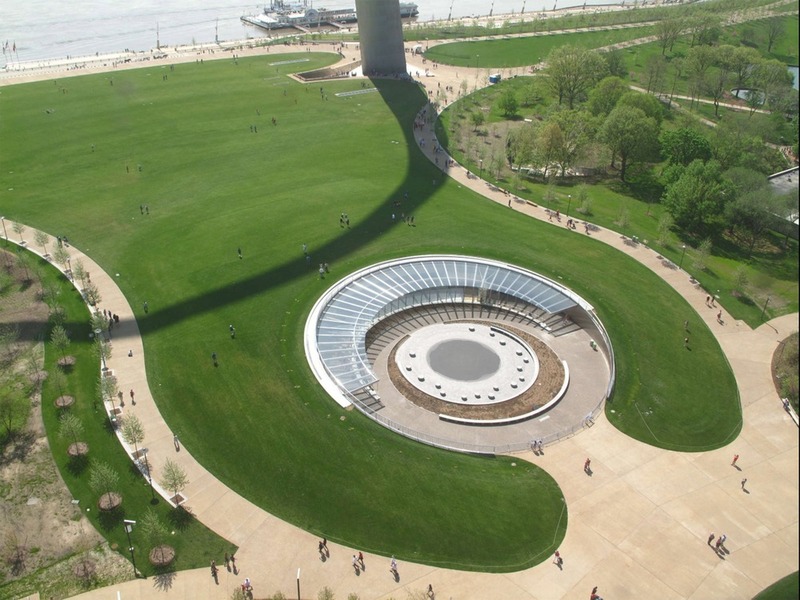 “I think that the way it honors the intent of the original Olmsted plan is with a strong landscape connection between Jackson Park and the beginning of the rest of the Midway,” said Van Valkenburgh. Despite the changes, the Chicago City Council will still need to give the Obama Foundation permission to build in the Midway, while a review of the entire OPC is also underway at the federal level.